Home automation is nothing new. Hobbyists have been connecting gadgets into their appliances and fixtures for decades. But now, home automation is becoming more accessible to the amateur and a lot more aesthetically-pleasing, in terms of design. Google’s Nest allows people to control their thermostat using their cell phone. Its simple circular design most likely appealed to Google since not all of their designs are as clean. 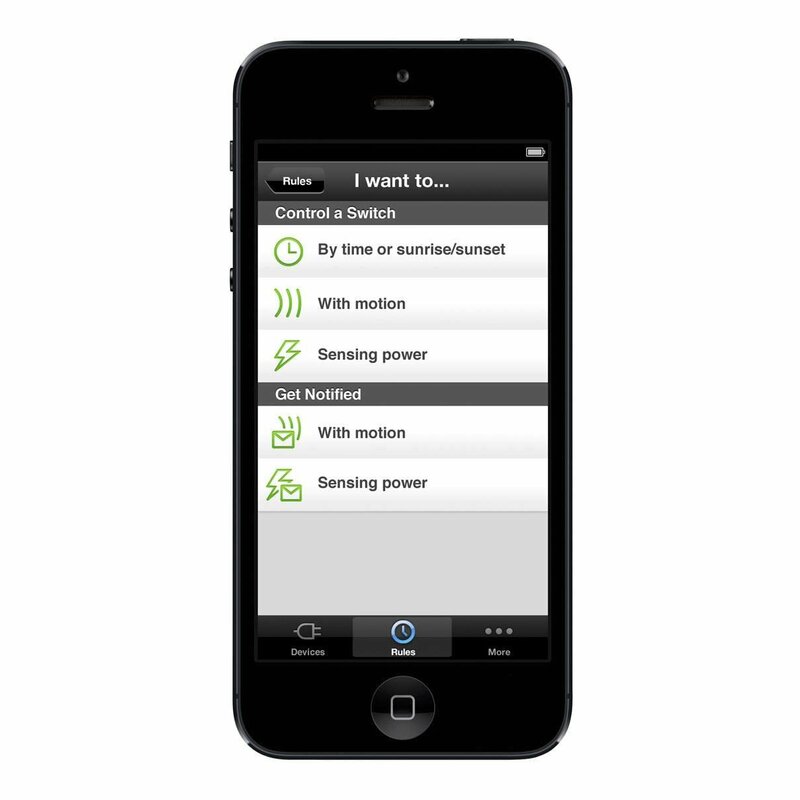 Belkin’s WeMo allows users to control their lighting and view the cost for using each appliance with a simple phone app. Clearly the concept of ‘quantified self’ (viewing data about yourself to inform future behaviors) is extending to ‘quantified space’. Years ago researchers at Georgia Tech began the Aware Home initiative began to think abut smarter spaces, specifically for older adults, mainly using sensors. How can we push the boundary beyond simple sensors to track presence or appliance usage, and towards innovative solutions that are easy for people of all ages to use. The added challenge is that older adults may have a higher chance of disability, and no two disabilities are alike. Universal usability, in general, may be as difficult as an NP complete problem. But, universal usability for quantified living spaces sounds feasible. You must believe me when I say that I have the utmost respect for HCI people. However, when HCI people debug their code, it’s like an art show or a meeting of the United Nations. There are tea breaks and witticisms exchanged in French; wearing a non-functional scarf is optional, but encouraged. When HCI code doesn’t work, the problem can be resolved using grand theories that relate form and perception to your deeply personal feelings about ovals. There will be debates about the socioeconomic implications of Helvetica Light, and at some point, you will have to decide whether serifs are daring statements of modernity, or tools of hegemonic oppression that implicitly support feudalism and illiteracy. I found this to be entertaining. The most recent OpenIdeo challenge is asking people to think about how we should maintain a state of wellbeing and thrive as we age. Sponsored by the Mayo Clinic, a non-profit medical research group, I think think poses an excellent question. With more people preferring virtual exercise, the rise of computer desk-jobs, and fewer people buying fresh (as opposed to canned and frozen) foods, how can we promote healthier lives as we age? A paper by Dr. Becca Levy shows not only did younger people have negative ideas about aging, but older adults often negatively self-stereotype themselves. And, these negative thoughts begin to form long before becoming an older adult. My solution to this problem? Older adults need to play an active role in new age culture. With my research, I plan to engage this demographic in today’s digital culture but also to link the virtual world with the real world, encouraging intergenerational collaboration both online and offline. While that may be a lofty and seemingly impossible goal, I don’t think we’re too far off. HCI researchers are developing tools to promote integenerational communication for family members. Collaboration is the next step, and we need to look beyond the family. Such a narrow point of view! gaming systems came as PART of the tv? there were no waiters/waitresses and all restaurant menus were electronic? no one studied human-computer interaction???! A U.S. citizen, an aid worker whose doing work at the time of the earthquake in Haiti, downloaded an i-phone app while he was stuck in the rubble which eventually saved his life. This app told him to NOT fall asleep. Therefore he set the alarm on his phone to wake him up every 20 minutes. By the time his battery was about to die, he has already trained himself to only sleep for very short periods of time. HCI-ers keep up the good work! Keep thinking of ideas that can positively impact the world. In an earlier post, I mentioned new technology revolving texting and driving. How Nuance is creating a system where you can speak aloud what you want to text. Instead, I would like to see something where you can THINK what you would like to say. What all would be involved? Has this been studied before? CAN it be done? Can I be the one to do it? Now THIS is a good example of how humans can interact with technology! I left ATL at 10:00am this morning (it was supposed to be 9:15 but there were fog delays). Surprisingly, I left more confused than I had been when I came on Thursday. Ever since the 6th grade I said I wanted to get my PhD just like my 6th grade teacher…in what? I was not sure. But I knew I would get one. Due to my interest in psychology, digital media, and computer science I decided to get a PhD in human-computer interaction. However, this weekend I was persuaded that PhD’s were only for research and academia. I LIKE to do research, don’t get me wrong, but I don’t know if I could do it forever or i I really even have a passion for it. And I know that I cannot teach. Well, it’s not that I can’t, it’s just that I prefer not to because kids these days like to test your patience. I know I want at least my master’s because I want to learn more about HCI and my school only has one course on the subject. BUT GA Tech doesn’t offer a program in which you can get your PhD and your master’s on the way. eek! What do I do now?? I guess I have about 7 months to figure it out. The plan is to do one blog a day for 365 days and to alternate between the 3 things mentioned above each day…minus today of course… because today I have more important things to accomplish (no offense readers). Today I must catch up on some research. You see, I do research at the human-computer interaction lab at school. The current project that my research team is working on is to help Google improve their search engine for kids. Therefore I must analyze videos of children (ages 7,9,11) searching for information online categorizing the children into one of six search roles. I have 3 videos to complete. Thus, farewell all! Until tomorrow!